We are staffed completely by volunteer time-givers. We have no salaried staff. Our volunteers provide a reference from their pastor or church leader, vouching for their suitability to work with us. Funding comes exclusively from voluntary donations. We receive no grants or engage in any agreements linked to funding. 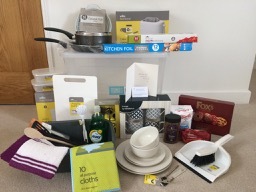 Various start up packs for people just released from prison, setting up home or expecting a baby. The loan of a two ring electric hob for emergency use. Decorating or gardening projects and basic DIY – e.g. assembling flat pack furniture, putting up curtain rails. We do not accept requests from individual members of the public. We know that giving people practical help will not benefit them unless they are being supported. 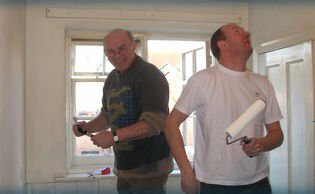 If we help people with decorating or gardening we need assurance that it will benefit them in the longer term and that the person is well enough to cope with the disruption of having a team of people in their home. We therefore only accept requests from agencies. We do not make judgements about the level of need, so the agency worker who makes the referral needs to be the person who has direct contact with the client and visits them regularly in their home. Requests are accepted in the order in which they are received. Agency workers can e-mail us with requests. When we receive a request we reply as soon as possible. 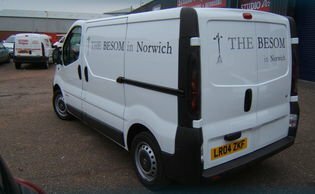 Packs and hobs that are needed urgently can sometimes be collected from us by the agency. When we are in a position to meet the request we contact the requesting agency and arrange to deliver the pack or set up the project. All client information is kept confidential. Our e-mail address is not secure. Please be aware of this when giving client details. We don’t want to add to everyone’s work load by asking for lots of paperwork so we do not ask for written requests or requisition forms. We prefer to build a trusting, honest relationship with the agencies we work with. We rely on agencies to assess the need and not to abuse this flexible approach. Please do not give clients our details and ask them to contact us directly as we do not accept referrals made by individual members of the public.